Saturday’s walk took me to the library to return some books, then to DUMBO, to Brooklyn Bridge Park, then back into the Heights. 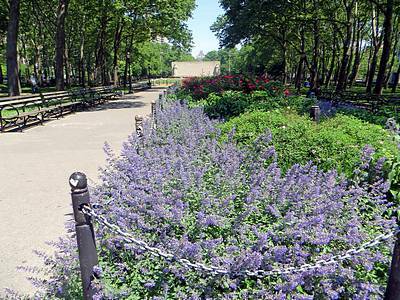 These purple flowers were at the southern entrance to Cadman Plaza Park. 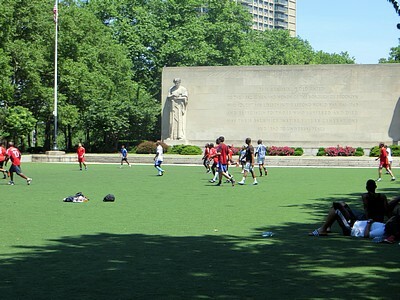 There was soccer action on the field south of the Brooklyn War Memorial (Eggers and Higgins, sculpture by Charles Keck, 1951) in Cadman Plaza Park. 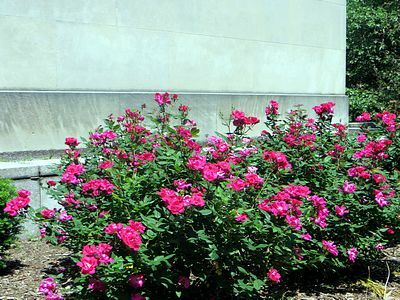 Azaleas were in bloom by the north wall of the War Memorial. 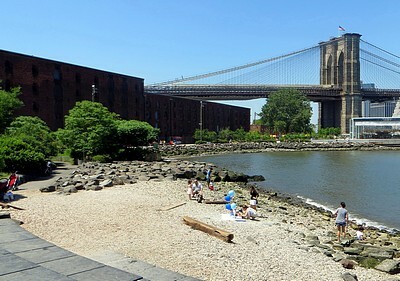 Some people were enjoyng the beach near the Main Street entrance to Brooklyn Bridge Park, in DUMBO. In the background are the nineteenth century Empire Stores buildings, soon to be revitalized. 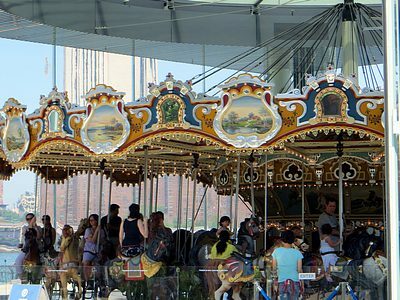 Jane’s Carousel had lots of riders. 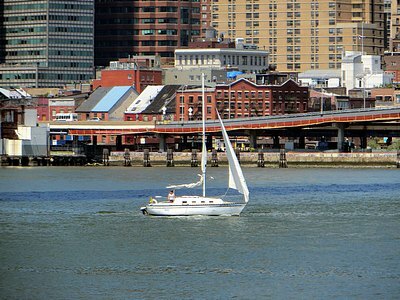 A sloop sailed by on the East River. No. 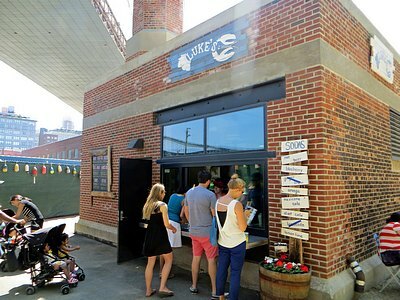 7 Sub was doing business in the Smokestack Building, Fulton Ferry Historic district. 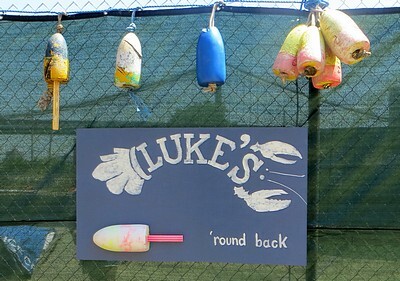 A sign pointed to Luke’s Lobster in the back of the building. Luke’s had also attracted customers. I’ll be back soon to try a lobster roll. 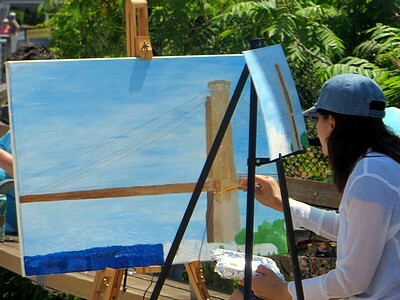 A plein air painter was at work on Pier 1, Brooklyn Bridge Park. 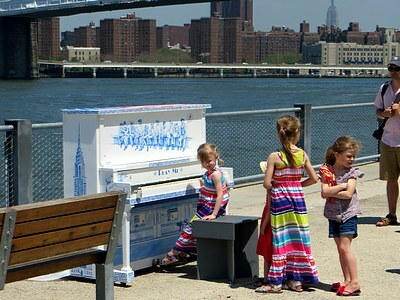 Some young musicians were making use of the Sing for Hope piano on Pier 1. 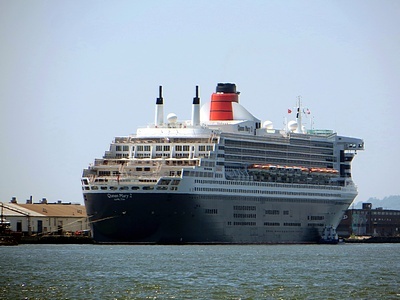 Queen Mary 2 was docked at the Red Hook cruise ship terminal. I’ve been photographing her since her first voyage to Brooklyn. Zooming in on her stern, I noticed that her home, or hailing port has been changed from Southampton, England, traditional home of the great Cunarders, to Hamilton, Bermuda, where she probably spends more time. This photo was taken from Pier 5. Coming off Pier 5 I felt the effects of the steadily increasing heat and humidity, so I stopped in Waterfront Wines & Spirits to enjoy a bit of A/C and chat with the owner. 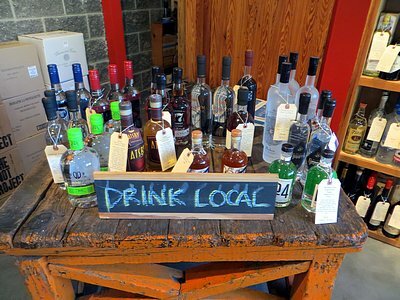 While there, I noticed this impressive display of locally made spirits. 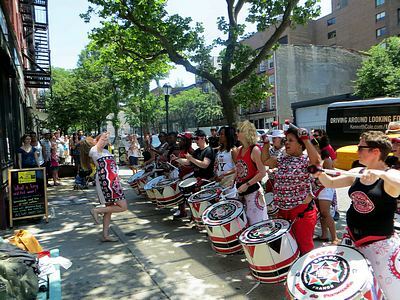 Coming up to Atlantic Avenue at Hicks, I found the all women percussion band Batala New York City giving a spirited performance in front of The Moxie Spot. Thank you for the lovely photos. We are so fortunate to live in such a wonderful community. I noticed you dropped off some books at our library. Isn’t it awful that in the midst of all this wealth we cannot get air conditioning on in our library. What does this say about the library administration. Their plan to trash the library and give the land to a developer-probably Ratner-must be stopped by the public. Perhaps those that run the Queens library should be given a chance to run ours. They seen to do a much better job getting funds from public and private sources. Why not contract management out to them for 3 years and see how they do. Thanks Marsha for keeping the imminent demise of the Cadman Plaza Library branch in the public eye. 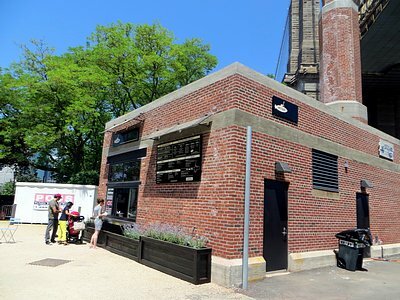 The disgraceful behavior of the BPL in neglecting the repair of air conditioning and then using it as an excuse to sell the building to a developer is an abuse of power in the extreme. We must stop this from happening. If you had rubbed the leaves on the purple flowers in the first photo at the top, you would have smelled the delightful smell of one of the mint family!